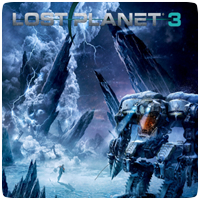 Capcom has released a video to show off Lost Planet 3, with fifteen minutes of footage. The video begins with the game’s most recent trailer and follows onto a gameplay demonstration hosted by Andrew Szymanski and played by Kenji Oguro. The video shows off some of the new game mechanics, like the cover system, as well as the beautiful visuals and some really nice environmental effects.